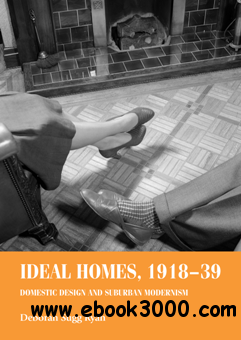 This book explores the aspirations and tastes of new suburban communities in interwar England for domestic architecture and design that was both modern and nostalgic in a period where homeownership became the norm. It investigates the ways in which new suburban class and gender identities were forged through the architecture, design and decoration of the home through choices such as ebony elephants placed on mantelpieces and modern Easiwork dressers in kitchens. It argues that a specifically suburban modernism emerged, which looked backwards to the past whilst looking forward to the future. Thus the inter-war 'ideal' home was both a retreat from the outside world and a site of change and experimentation. It also examines how the interwar home is lived in today. The book will appeal to academics and students in design, social and cultural history as well as a wider readership curious about interwar homes.